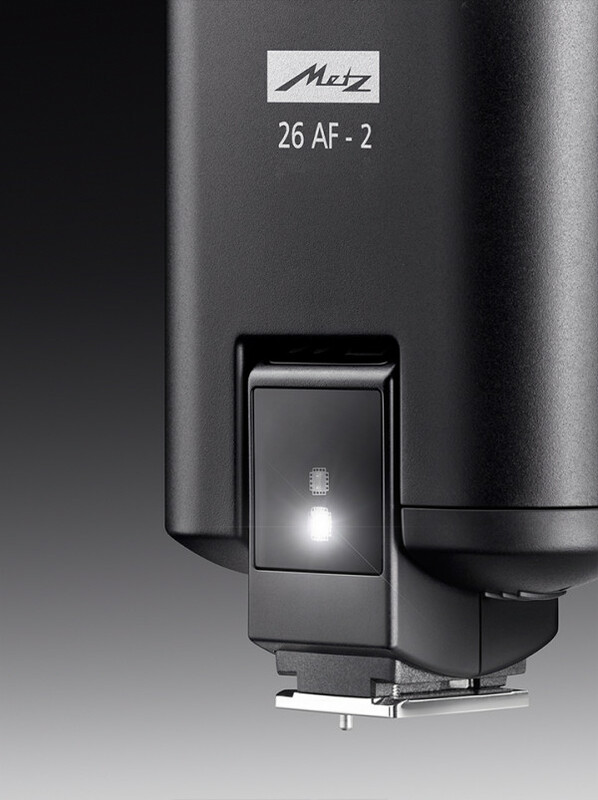 Metz has announced the Mecablitz 26 AF-2, a small tilting flash unit, for Canon, Nikon, Micro Four Thirds, Sony and Fujifilm cameras. It is designed as an upgrade for pop-up flash users, but has some useful off-camera lighting capabilities too. The 26 AF-2 replaces the existing 26 AF-1 and is based on a similar form factor that’s small enough to fit in a shirt pocket. 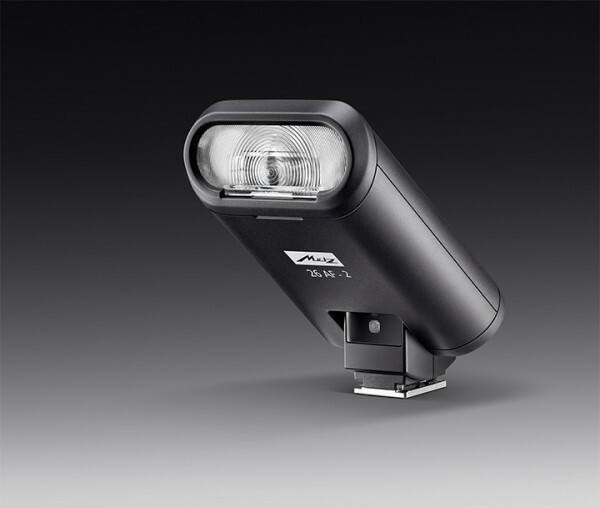 It has the same guide number of 26 (at 85mm, Iso-100) and built-in LED lamp. Like the 26 AF-1, the Mecablitz 26 AF-2 runs on two AA batteries and works in three modes: TTL (on-camera), LED and Slave (wireless TTL). There are very simple controls to switch between them. The 26 AF-2 has a flip-out wide-angle diffuser giving 24mm (equivalent) coverage, and a removable telephoto condenser attachment that narrows the beam to 85mm. The default zoom coverage (without diffusers) is 35mm. There is a USB port for firmware updates. These features are all inherited from the AF-1. In fact, there is very little to separate the AF-2 from its predecessor, which raises the question: are Metz simply re-releasing the original flash? We have contacted the manufacturer to see if they can clarify this. Update 2016/04/08: Metz tell us “there are no major differences” between the Mecablitz 26 AF-1 and 26 AF-2. The newer model is “optimized for the production in Germany” and the “biggest new feature” is the inclusion of a flash stand in the box. In the UK, the Metz 26 AF-2 will be priced £109.99, with expected availability at the end of April 2016. US pricing should be around $129.99. Visit the Metz web site for more information.